In this fashionable era, like today there are numerous brands launching their children’s line which is truly inspired by their latest women and men collections to attract all the trendy mothers & fathers to shop for their little ones the same mini outfits meanwhile doing their own wardrobe updates. And, let’s face it! What is more fun & funky, than having the young family dressing in the same style for the day? 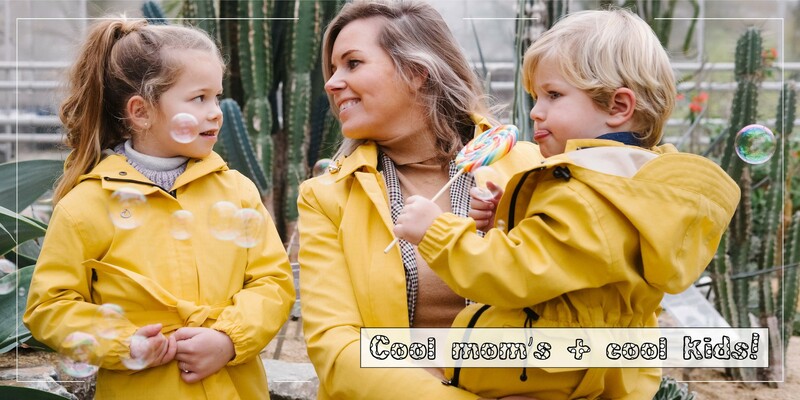 Nothing beats the matching outfits when dropping off the kids at the nursery or kinder garden, when paying a visit to the playgrounds or spending a sunny afternoon in the city centre. Rain Couture has just launched its latest collection line including, the YOUNGSTERS. 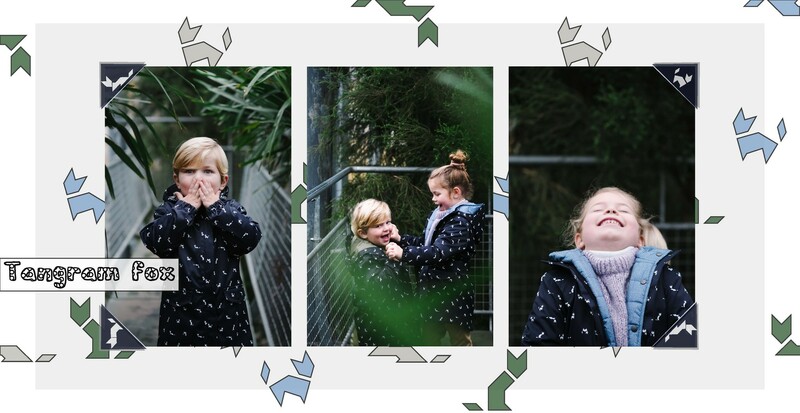 A line inspired by the new spring-summer styles to come up with a unisex kid’s parka in 3 unique colours, which you can beautifully match with the latest favourites, like the lightweight Foldable Parka in Ica Camouflage Print and the Waterfall Coat in yellow & black colours. Match N.01 – The Sunny Yellow Squad! A true raincoat should be yellow, right? The waterfall coat in sunny yellow made of a soft & textured cotton based material brings the “yellow raincoat “ vibe to the next level. It is 100% water- & windproof, high breathable and comes with a detachable hood-cap, which is adjustable at 3 points. All seams are taped and in addition there are also extra air ventilations under the armpits for extra breathability. Some other smart features are also added, like a keychain holder to not loose any keys on the go, headphone connection eyelet applied at the inside pocket, which has a button-flap closure to keep all important belongings safe. When it comes to its unique silhouette: the back was drawn to create the romantic waterfall effect, which gives a very flattering look to it. 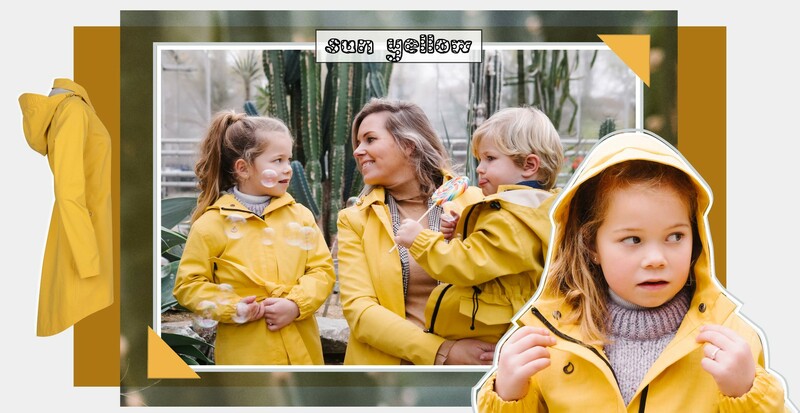 Also, this model has a soft olive green lining, which comes back the same way at the Unisex Kid’s Parka in sunny yellow, made of the same shell fabric as well. As if they were identical best friends for the day and for a weekend away to enjoy the moody days in style together. Match N.02 – The Camouflage Squad! Rain Couture has launched 2 new women styles to match the mini Ice Camouflage Unisex Kid’s Parka. The lightweight Foldable Parka is a straight-cut lightweight waterproof raincoat with a soft lining inside and additional branded buttons to be able to attach any of the colour-blocking tailored body-warmers inside to wear this 4-season style during the colder months as well. The front opening is a functional double-sided zipper and additional magnetic closures for maximum comfort. This rainproof model has got an attached hood with cap, which is adjustable at 3 points to make it fit for any hair-do too. Its ¾ length gives an effortless approach on a day-to-day basis for the warmer months ahead of us. 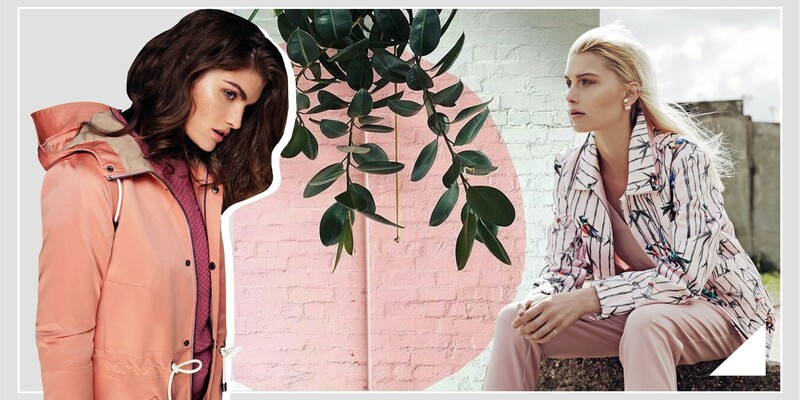 On the other hand, this breathable raincoat can be also styled with any feminine wardrobe pieces as well because there is elastic waist-tunnel from the inside, which is adjustable to create a more fitted and flattering look for the day or night. The other women style, which perfectly fits in the Camouflage Squad, is the Waterfall Coat in textured Black. This coat has the same silhouette and features as the one from the Sunny Yellow Squad. Hereby, it is good to mention that this style also comes with a double-sided front zipper as another practical detail for on the bike or in the car. 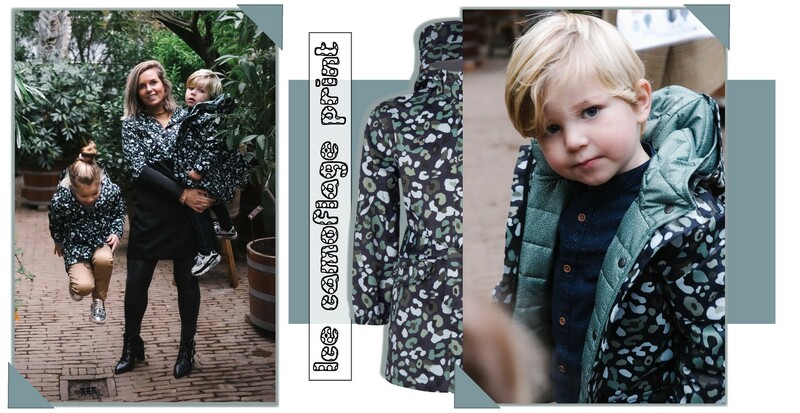 This black Waterfall Coat has got an Ice Camouflage printed lining to make it fit with the Unisex Youngster Raincoat. This combination is a beautiful example of how you can match your outfit in a smooth and subtle way with your children. Match N.03 the Mix-Match Fun Squad! Since S/S 19’ Collection was decorate coats with patterns and uniquely designed prints, the 3rd color combination of the Youngster’s line is the blue Tangram Fox Print. It is a playful serie of foxes in repetition, made of single triangles. From far, they may not be so recognizable, but when you look closer you can discover all the fox versions on this funky kids raincoat. Its soft olive green lining creates a playful colour clash to mix bravely with girlish or boyish outfits. The top best-selling matches to this Youngster look, is the Wrap Coat in vintage green and the same style in pinstriped navy wool. 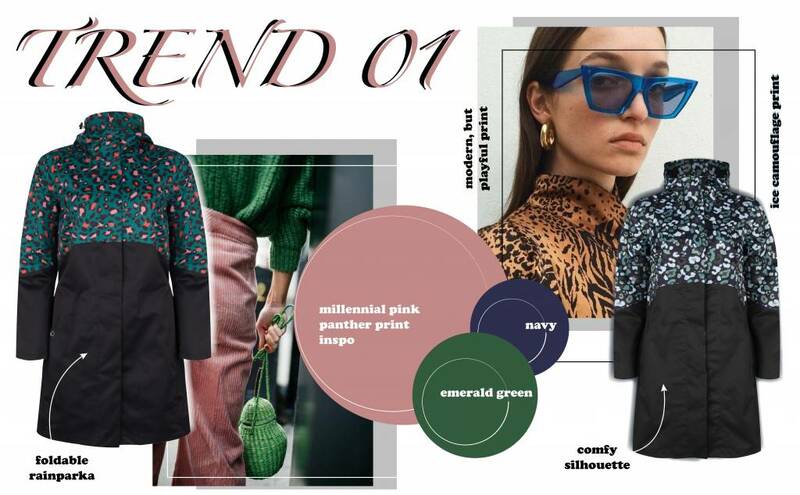 Both women 4-season raincoats are knee-length models with an ultimate chic yet casual factor, because due to its universal silhouette it is a perfect fit with sneakers on the playground, but due to its sophisticated length it gorgeous with a dress when dining out. Both waterproof colour versions have got 2 button-on reversible belts with stripe detailing, detachable hood with cap and the other smart features to comfort you fully through the day. All Youngster’s colour combinations come with a detachable belt, which offers to possibility for the girls to wear it tailored and the boys to wear it without in a sturdy loose-fit way. As functional features, the coat hanging loops are placed on the back of the unisex kid’s coats, because these are also reflective. The sleeves have got elastics in the cuffs to keep away all the sand & mud from the playground. For all the treasures to store after a nice walk in the park the style has got 2 side pocket with pocket flap closure and when for the colder seasons, Rain Couture has launched their well-fitted 2 in 1 reversible padded jacket and body-warmers in green and blue to fasten inside these 4-season children raincoats. And when the snowflakes are dancing from the sky, there are small reflective loops in the cuffs to attach those mighty gloves, which are always get lost in the fun. Rain Couture Youngsters are available in 5 European sizes from age 2-3 till 10-11 years. Find yourself and mini-me the best fitting multi-functional 4-season trendy raincoat. Visit our newly opened inspiring flagship store in the heart of de Pijp to check all out besides the other newly introduced Rain Couture styles.